There is no way Midnight Now can escape controversy in the politically charged atmosphere of today’s evangelical Church. Day – Sunday following the last Saturday of every month. My fellow servants in the vineyard of the Lord, it is already midnight and we are presently in the last minutes of extra time given to the Church before the appearance of our Lord to take His Bride. The pillar of cloud by day has turned into the pillar of fire by night and by implication the message of the end-times according to Mathew 25:6 should be “Behold the Bridegroom cometh, go ye out to meet Him”. This message is a warning for preparation and I therefore appeal to all god-fearing ministers and Christian ministries worldwide to as a matter of urgency, prayerfully seek God’s face to confirm this assertion, and make special arrangements similar to that of Noah’s Ark to get believers prepared for the coming of the Lord. 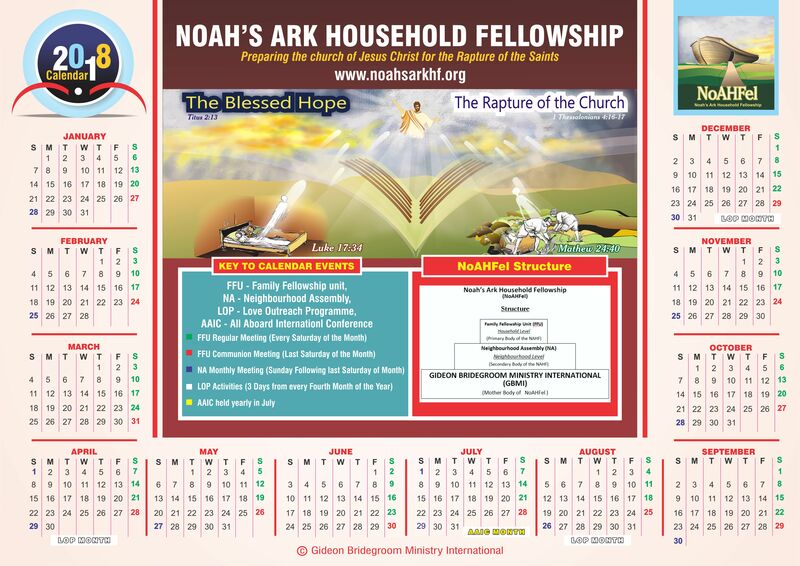 The Noah’s Ark Household Fellowship is not a church in the regular sense of the word. It is a ministry set up as a vehicle to provide timely and ordained spiritual supplement for believers in these last days. Please feel free to clone or modify the Noah’s Ark Household Fellowship and her Weekly Study and Prayer Outlines as the Lord leads you. Our collective and ultimate goal is that the Church is gotten to prepare herself continuously ‘Till we all come in the unity of the faith, and of the knowledge of the Son of God, unto a perfect man, unto the measure of the stature of the fullness of Christ’ (Ephesians 4:13 KJV). Recognizing the initial uncertainties and reservation associated with adopting something new, we encourage believers to go through the ‘ Testing the Waters ’ phase by first of all using this monthly outline in a personal capacity. They are to study the Charge and follow the weekly Study and Prayer Points in their quiet time. By the time they have come to appreciate its value (usually within a month), they are then encouraged, in the spirit of the ministry, to involve and engage their families, friends and neighbours, in the ministry’s weekly one hour fellowship. Have you met Jesus ? download Have you met Jesus ? Our God has always been and is still very much interested in families. He is the creator of the family unit, and from the days of Noah, He has been engaged in the business of shielding godly families from His judgment (Genesis 18:23, 25). Noah, his wife, his children and their wives (Genesis 6:17-18), were selected by God Himself for salvation from the great flood. Noah was commanded to build that will assure their safety, and he and his family all worked on the construction of this ark in their various capacities, until the day it was ready and they all entered in and God Himself shut its door (Genesis 7:16). The story is similar in the case of Lot and his family. He was commanded to get his wife, children, and sons-in-law out of the city of Sodom before destruction would be brought upon it (Genesis 19:12-14). He tried, but in the end, only his two daughters and he made it. His wife and sons-in-law were too worldly and were destroyed along with Sodom. Today, as the world draws critically close to the end of days as we know it, believers are again commanded to work out their salvation with fear and trembling (Philippians 2:12). God is calling out to His people once more, to leave the ‘Sodom’ of worldliness and to work on their lives, just as Noah and his family worked on the ark, preparing for the day of the flood. 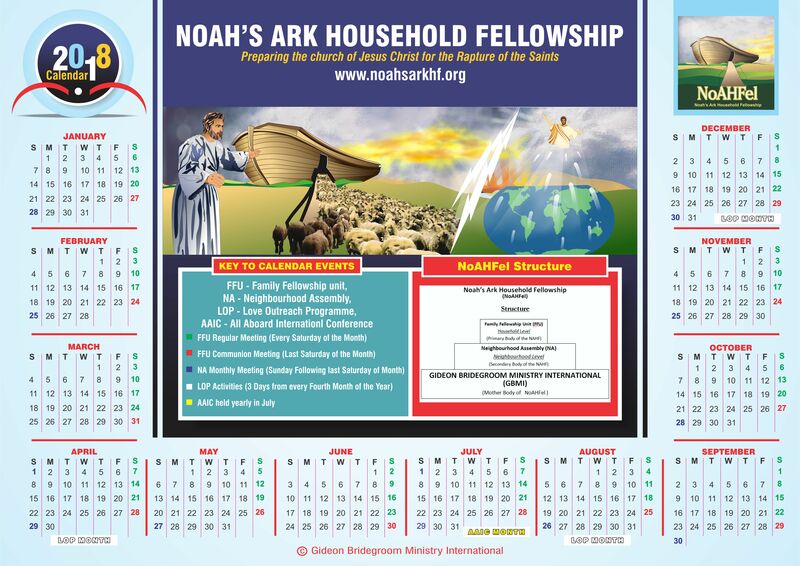 Noah’s Ark Household Fellowship was developed under the inspiration of the Holy Spirit, as a major vehicle for the fulfillment of God’s mandate to Dr. Ikechukwu Odumodu who in 2011 had an encounter with God in which he was told ‘Tell my people to get ready, that I am coming soon’. From that year, God began to prepare Him for ministry by engaging him as a home cell leader in his church. By 2015, God revealed to him that the form his ministry would take was that of the home cell format. 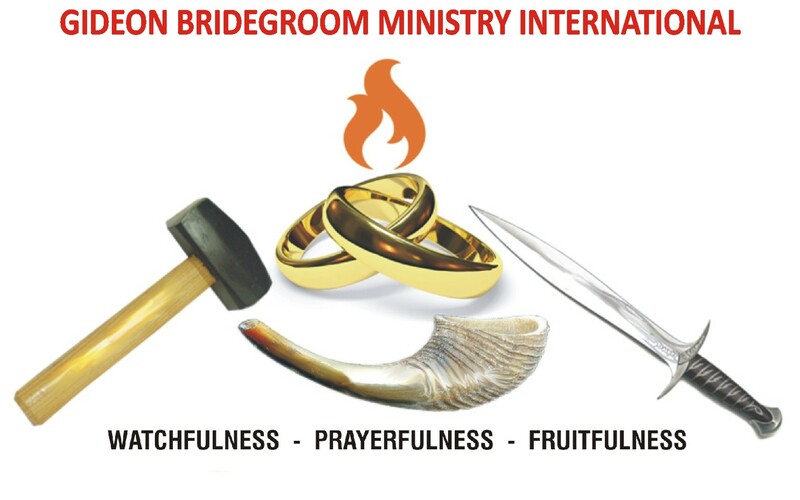 It was further revealed to him that Noah’s Ark would be operated under the Gideon Bridegroom Ministry International (GBMI), the mother body of the fellowship. The aim of Noah’s Ark Household Fellowship is to reignite the fire of love for Jesus by teaching members to love Him above everything else, to live in expectancy of His imminent return, and to live worthy of His commendation (by being doers of the work and not just hearers of the word) till the day of His appearance. It also places a responsibility on the heads of families to carry all members of their families along in the Lord till Jesus comes. 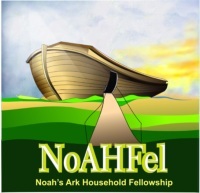 The Noah’s Ark Household Fellowship is non-denominational and open to all bible-believing Christians. It is a special end-times ministry and movement established by God’s mandate to disciple every subscribing believer to be doers of the word of God, not hearers only. The Nuclear Family Fellowship Unit. This comprises of members of a nuclear family living within the same home. The Extended Family Fellowship Unit. This comprises of members an extended family living within the same home. The Special Family Fellowship Unit.